Life presents many opportunities for spiritual growth. The things you go through and the way you respond to circumstances in your life have a lot to do with the unfolding of your spiritual evolution. For this reason, it is important to regularly pause and reflect on them. 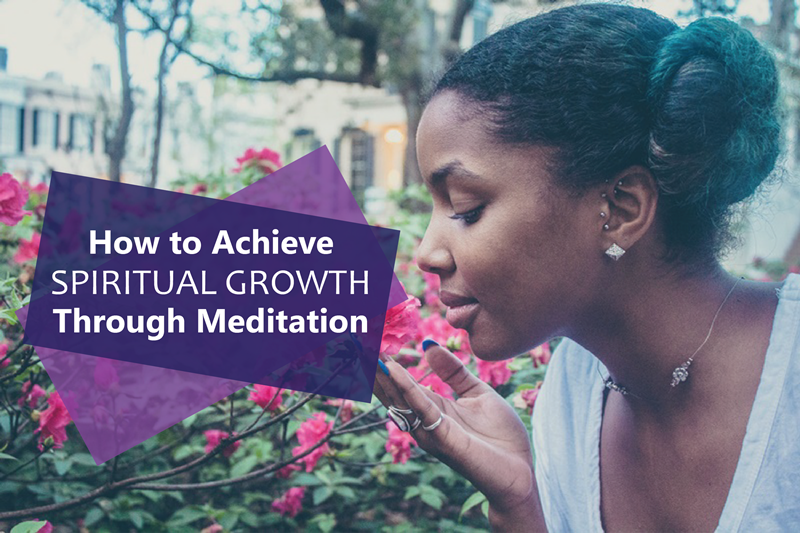 Meditation is often considered the best tool to help you achieve spiritual growth. No matter what your persuasion may be, you probably detect that you are connected to something spiritual and that you carry in you some kind of divine energy. It is your responsibility to explore your spirituality in order to take ownership of your life, especially your decisions and actions. In fact, you can tell by the way you approach the situations of your life and commit to successfully resolving conflicts just how spiritually conscious you are. Many people in our society acknowledge that meditation is an important part of spiritual development. A good portion of them began meditating as a way to de-stress and find inner peace. Understandably, there are those who started out by simply jumping on the bandwagon. For instance, so many are interested in trying the Law of Attraction guided meditation because it was endorsed by Oprah. In other cases, there are those who have simply reached a point where everything in their life is serving as a wake-up call to nourish and nurture the spirit. Whatever their initial motivation may have been, meditation has a way of leading people to gently awaken their spiritual consciousness. If you fail to address your spiritual well-being, it will suffer, much in the same way physical neglect deteriorates the body. Poor spiritual health manifests itself in suffering relationships, a dismal mental and emotional disposition, and even poor physical health as well. Fortunately, being able to sit for even just 15 minutes every day can make a world of difference on your spirit, mind, and body. This seemingly minimal addition to your routine can have very profound results. Of course, there are many different types of meditation, but the main challenge usually is in training yourself to just sit and be. People have a tendency to fall asleep when they dare to slow down. When you finally do manage to stick with it, the benefits will be easily apparent. Your energy will increase, your mood will improve, you will be less reactive, your perceptions will shift, etc. Soon, you and the people around you can enjoy a better version of yourself.